Spanning three centuries, the Sant’Anna Institute has stood as a source of learning, light, and leadership for the Sorrento community in the Campagna region of southern Italy. Located high above the Bay of Naples, jetting out on a cliff facing Mt. Vesuvius, Sorrento, sits 30 miles south of Naples. 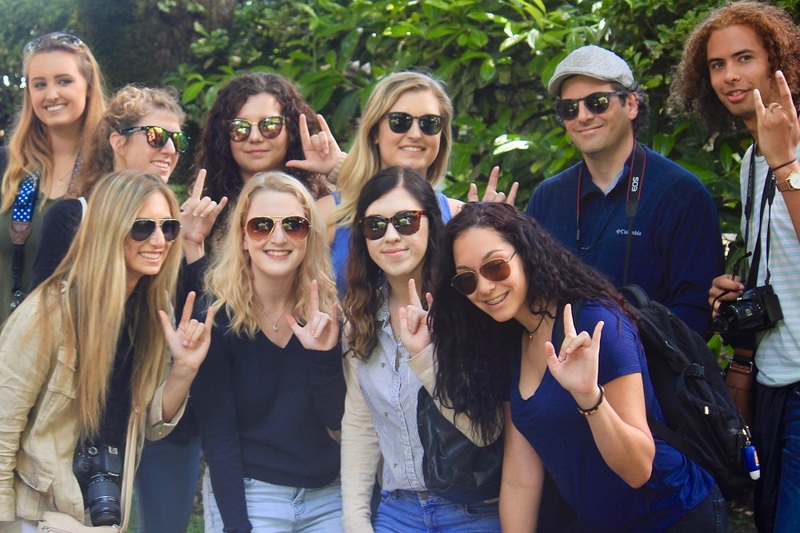 Now, through a new partnership with Jacksonville University, Sant’Anna is poised to become a leader in high quality global educational experiences. The legacy of Sant’Anna is shrouded in generosity, compassion, and commitment to the educational needs of a community. The expansive property originated in the 1800’s as a private residence. At the owner’s request upon his death, the estate was bequeathed to the Roman Catholic Church. In response for such generosity, the Church sent the Sisters of Charity of the Immaculate Conception of Ivrea to care for the educational needs of the Sorrento community. Today, towering over a majestic cliff, high above Sorrento’s Marina Grande, the impressive five-story building includes classrooms, offices, and two floors of newly renovated student residences. The rooms overlooking the sapphire blue waters of the Mediterranean Sea and pastel-colored fishing village of Marina Grande are again bustling with activity. The stone-walled walkway leading through the gates of Sant’Anna delights the senses meandering through brightly colored gardens, rose-scented archways, and tidy rows of Sorrento’s native aromatic lemon trees. The organic garden is lovingly tended as it has been for centuries, providing fresh fruit, seasonal vegetables, and flowers to the Sant’Anna community. As Director of the Center for Teaching and Learning, and as a Professor of Communication, I’ve lead study abroad programs at JU for more than a decade and a half. I am a passionate advocate for quality study abroad programs. Time and again, I witness the transformation that takes place when a college student steps out of the familiar and into the unknown. I believe education remains the one great hope for vibrant democracies throughout the world. For me, study abroad is an integral part of education, necessary to prepare students for life in an increasingly global community. My students have used their time abroad to produce award-winning projects honored by the Florida Chapter of the Associated Press and the National Council for Undergraduate Research. During the Summer of 2017, at the end of a family vacation in Venice, I made a last-minute decision to stay behind, and travel alone for the nearly 500 miles south to Sorrento. Scott Tayloe, JU alumnus, and Executive Director of International Education Programs knew I was looking for a more permanent space to lead study abroad programs in Italy and encouraged me to visit Sant’Anna before returning to Florida. After a few minutes on the property, and an initial meeting with the owner, Cristina Pannico, I recognized the opportunities for collaboration between JU and Sant’Anna could be far greater than simply my summer program. In the fall of 2017, Pannico visited JU, touring the campus and meeting with President Tim Cost. In March 2018, I traveled to Sorrento and spent my sabbatical at Sant’Anna studying Italian and facilitating the partnership. Later that month, Dr. Christine Sapienza arrived with the documents making the collaboration between Jacksonville University and Sant’Anna official. In May 2018, less than one year after the initial meeting between Pannico and myself, the first group of JU Dolphins arrived in Sorrento. The three-week May-mester included two courses. I taught Communications, Culture, and the Amalfi Coast, and Professor Ginger Sheridan taught Photography: The Study of Displacement and Discovery. 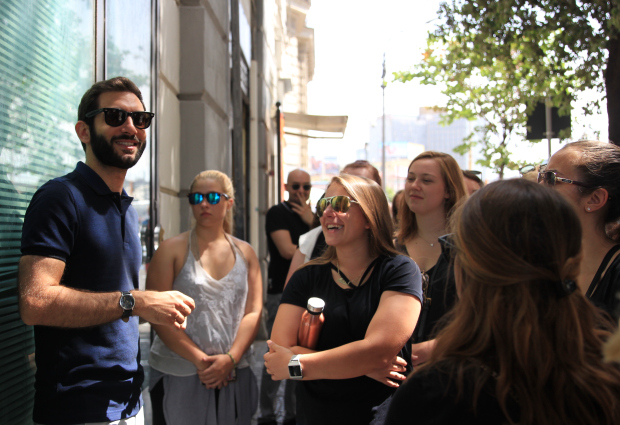 A second group of students followed in June, completing coursework, including Sant’Anna signature courses: History of the Mafia, Archaeology and the Cities of Fire, and Italian Language. In addition, the summer program featured a new JU International Internship in Sorrento, with students from a variety of majors interning in the community while earning discipline-specific academic credits. This extraordinary partnership provides undergraduates, graduate students, and the greater JU community with well-organized and innovative engaged learning opportunities. Collectively, this JU signature program pairs critical thinking and vibrant learning experiences while preparing students for success in an increasingly global world. 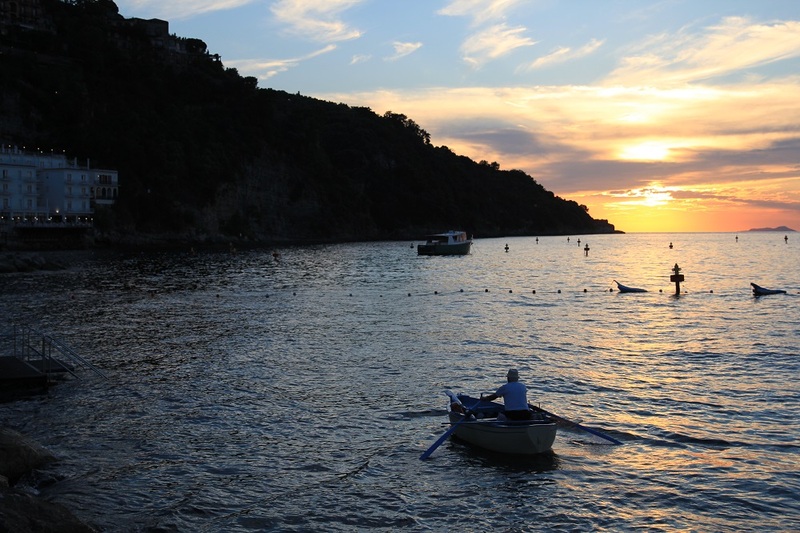 From the bluff high above the St. Johns River to the cliffs of the Sorrentine peninsula, JU’s shared commitment to educational excellence, through service, learning, and leadership has found a new home in Sant’Anna and Sorrento, Italy. 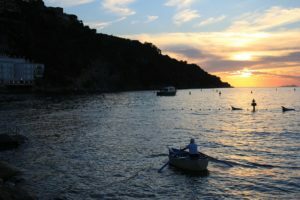 To explore a student blog and an up close look at the Sorrento experience, visit Emily Jane on a Plane, by JU senior communications major Emily Myslinski. Study abroad programs are open to JU students and full-time college students in good standing enrolled at other colleges and universities. 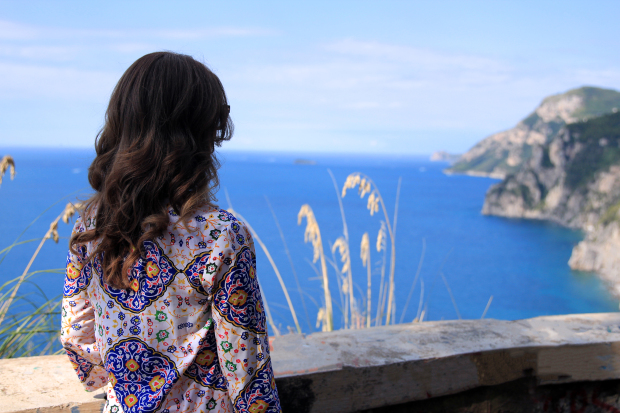 For more information about how you can study abroad in Sorrento, contact the Study Abroad office at 904-256-7295. Dr. Annmarie Kent-Willette, Communications Professor, also serves as Director of Jacksonville University’s Center for Teaching and Learning. She may be contacted in the College of Arts and Sciences at awillet@ju.edu.